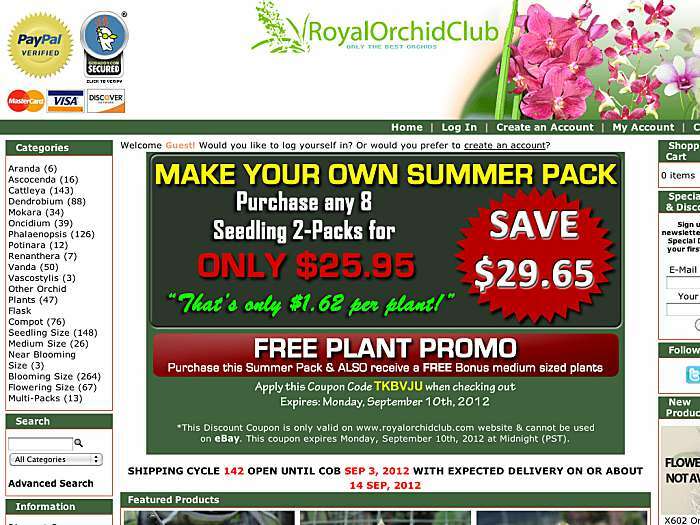 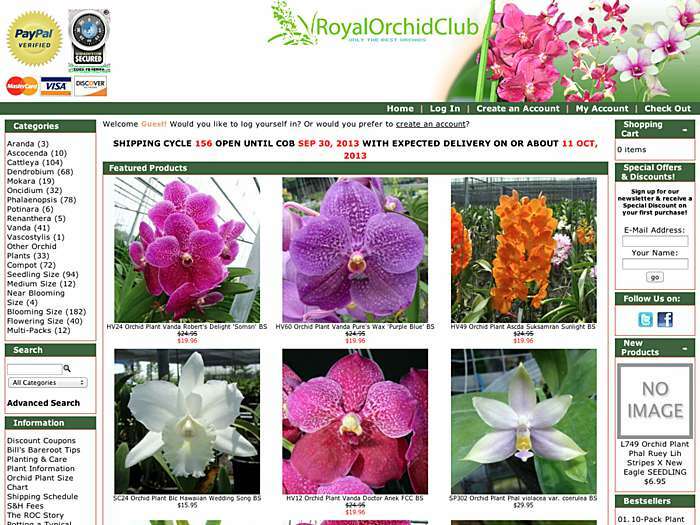 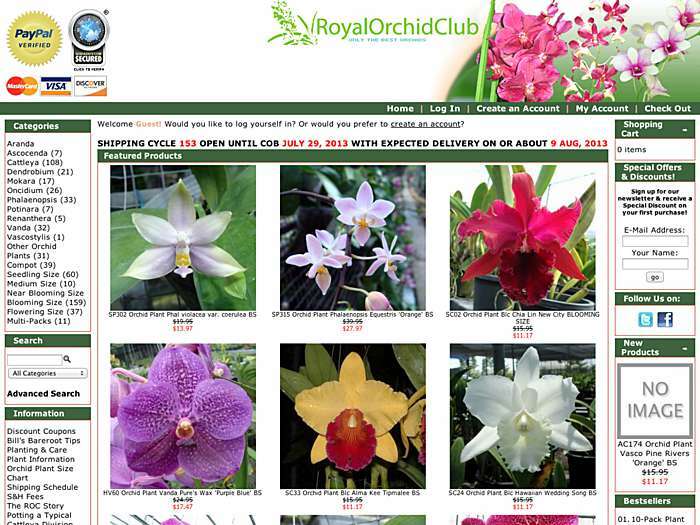 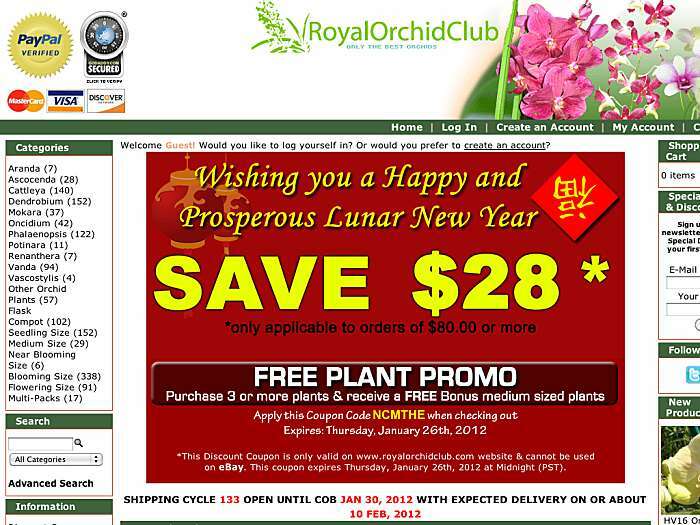 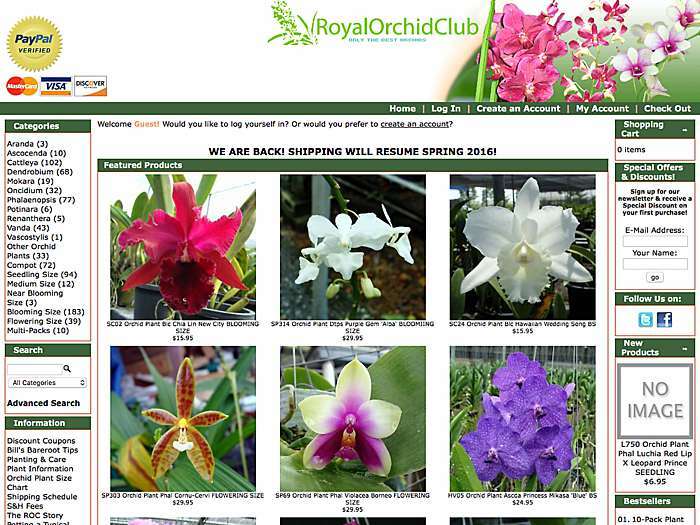 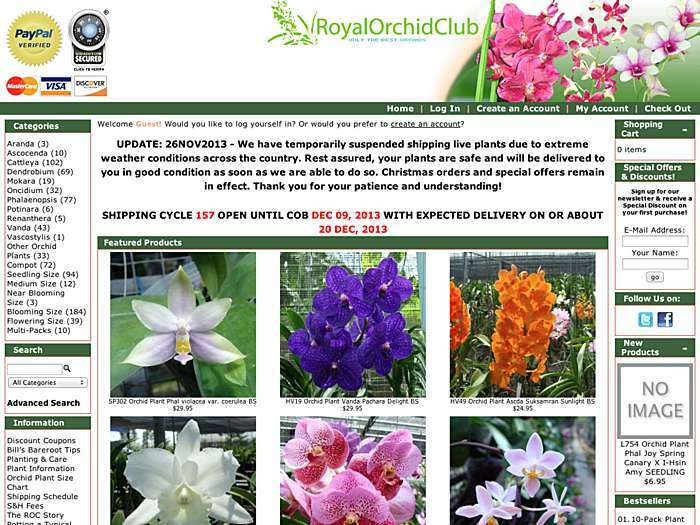 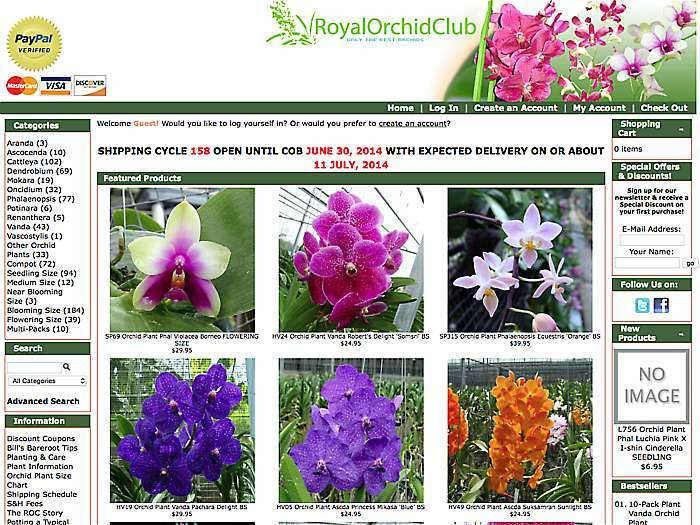 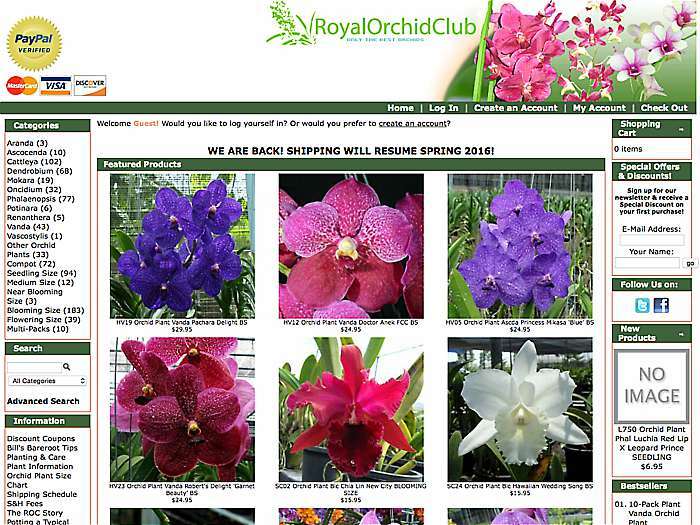 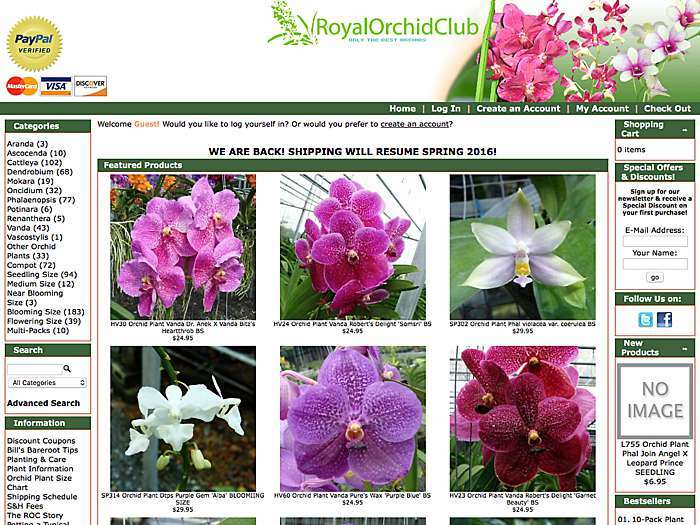 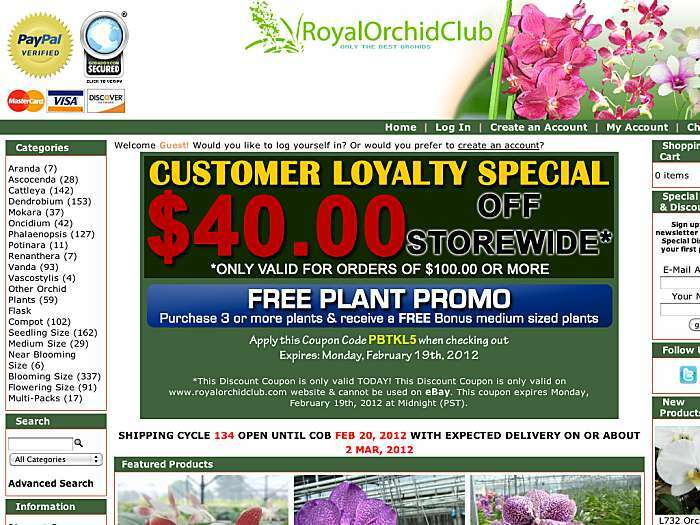 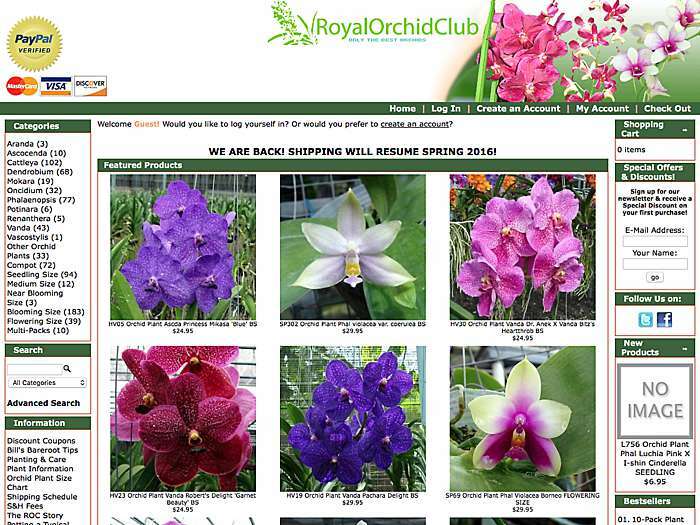 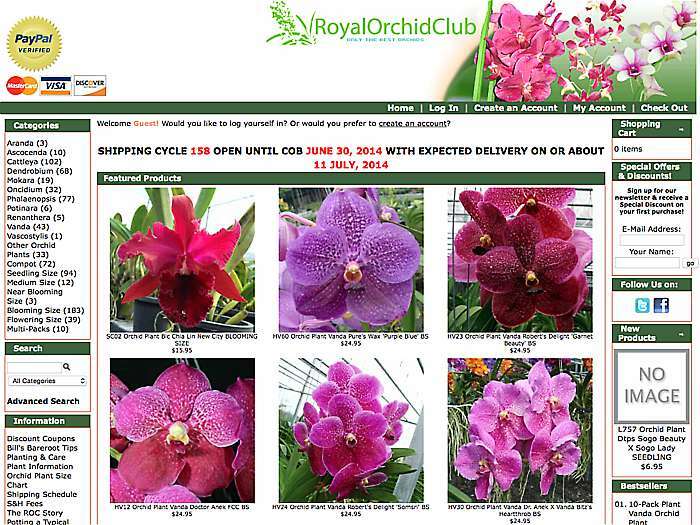 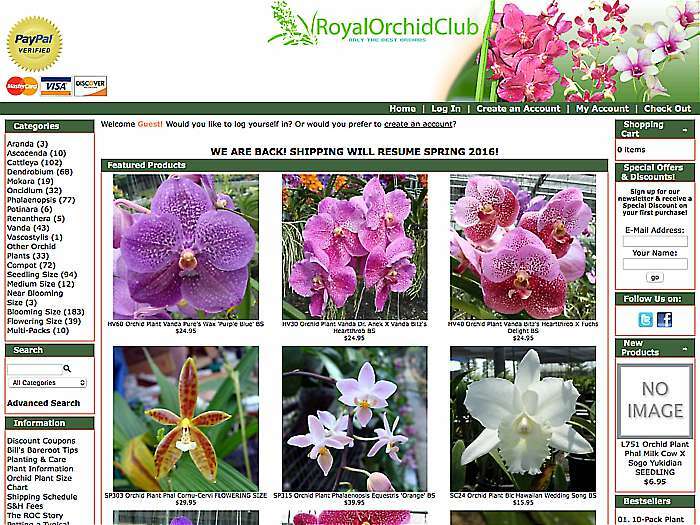 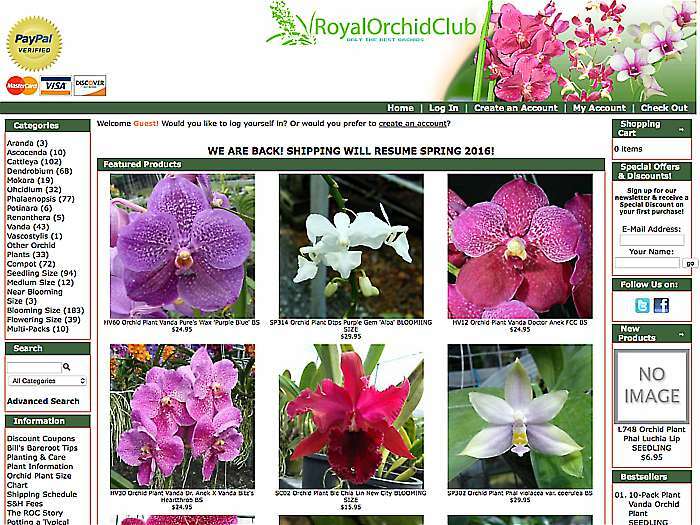 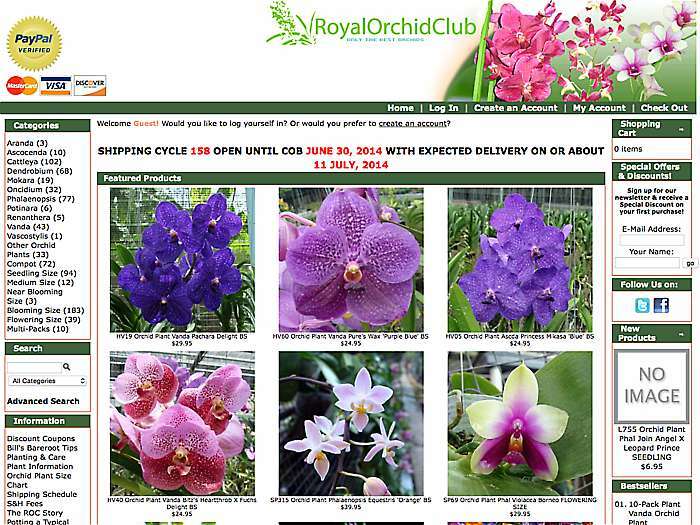 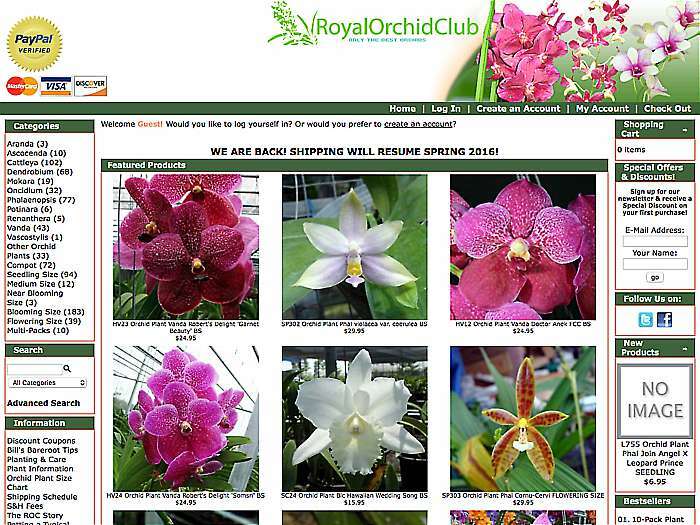 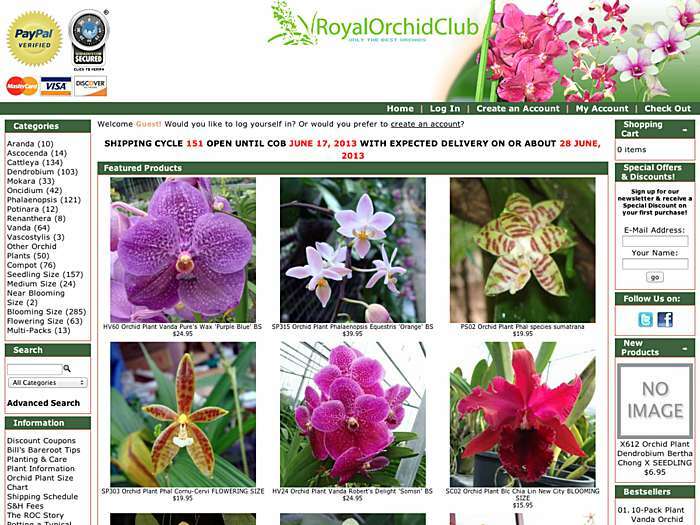 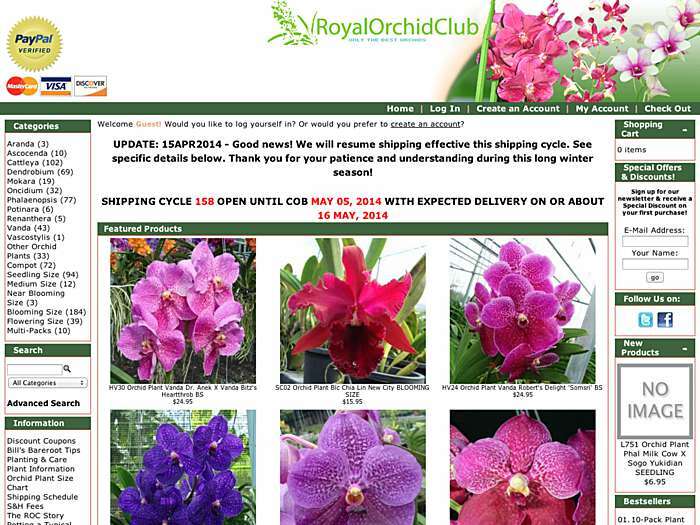 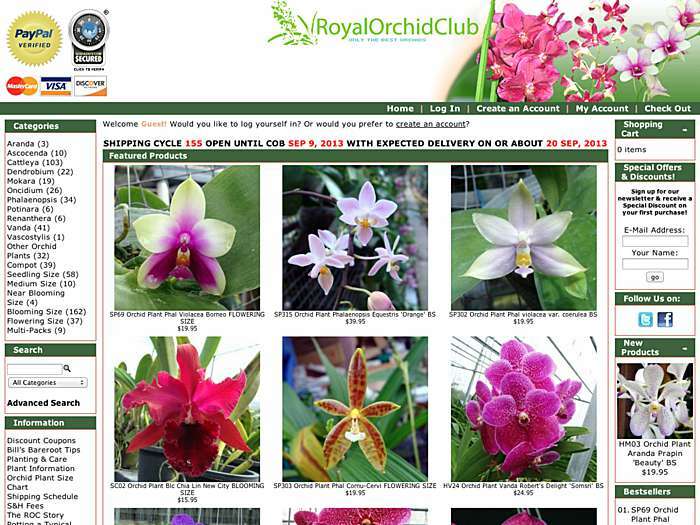 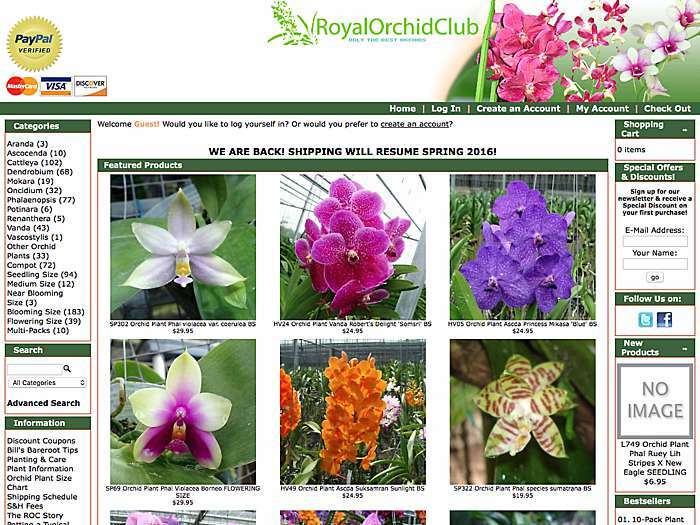 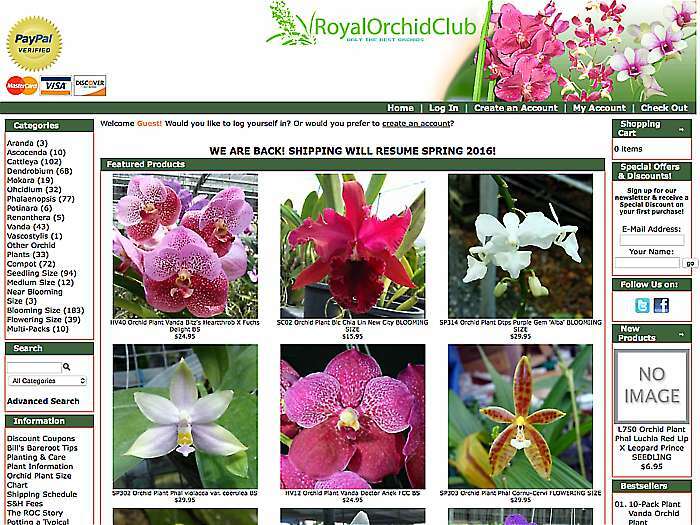 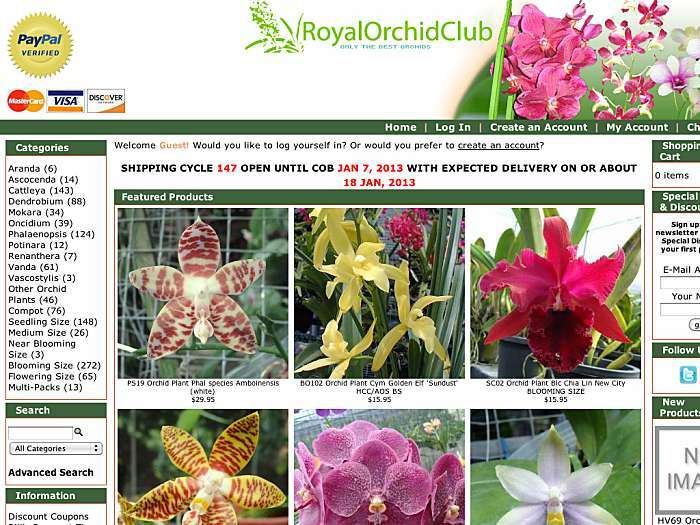 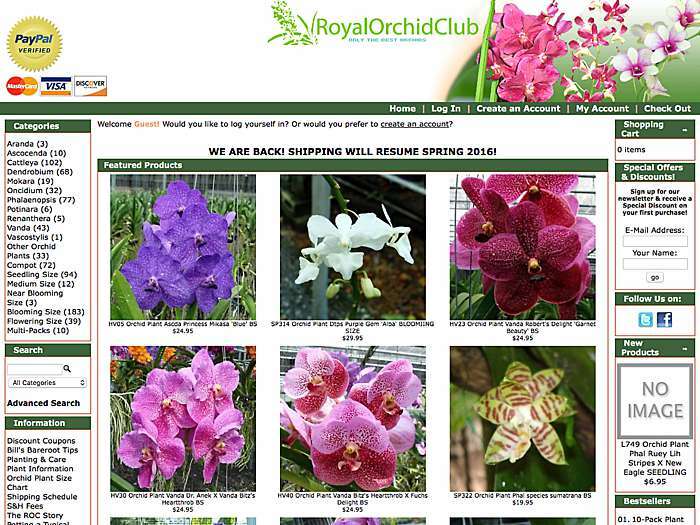 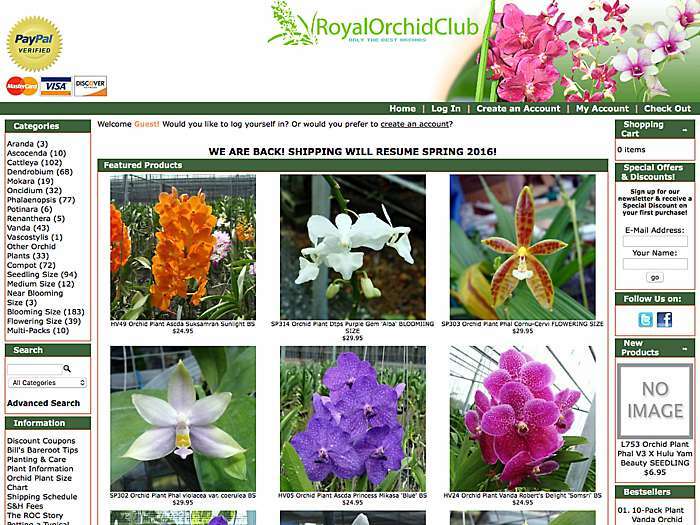 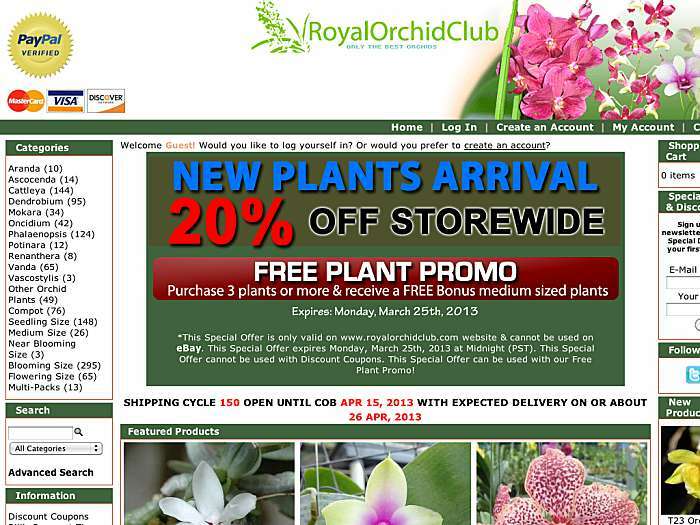 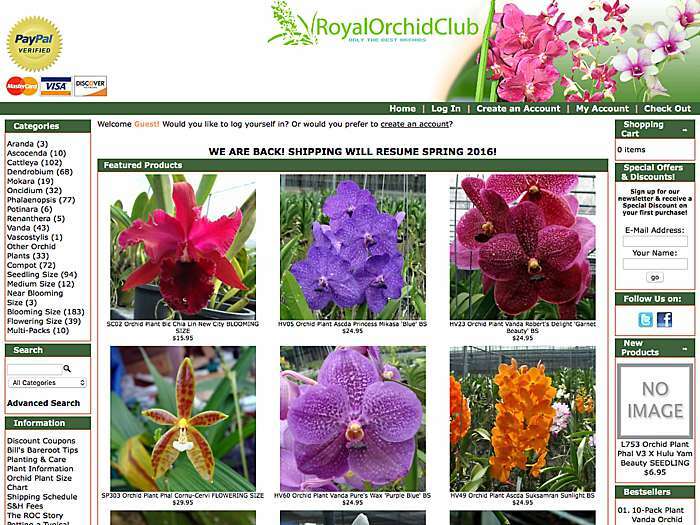 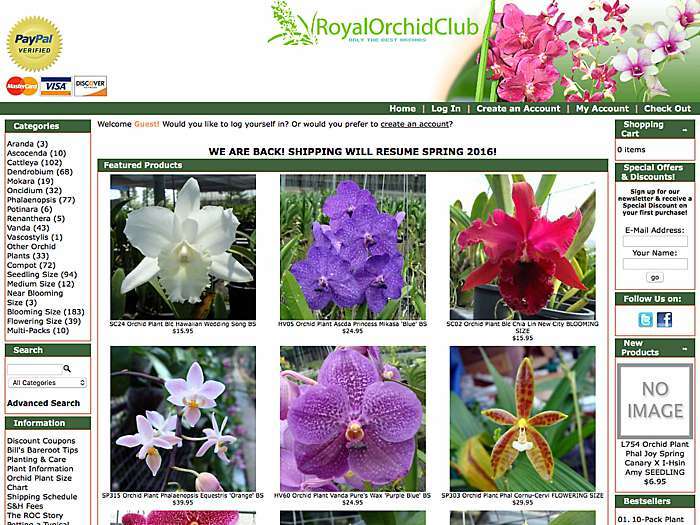 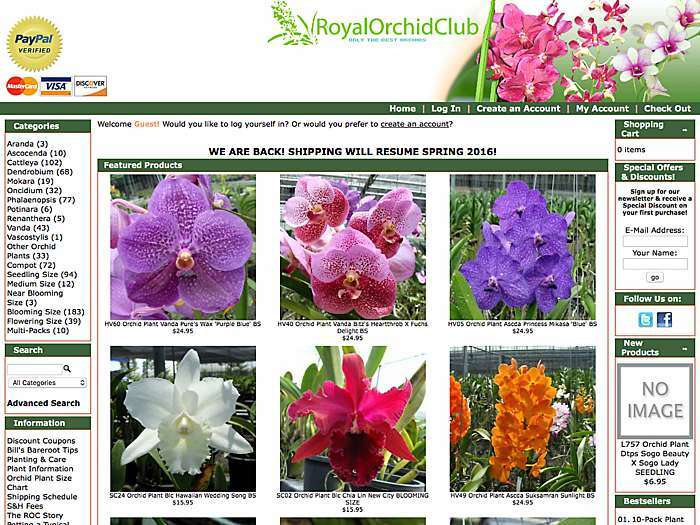 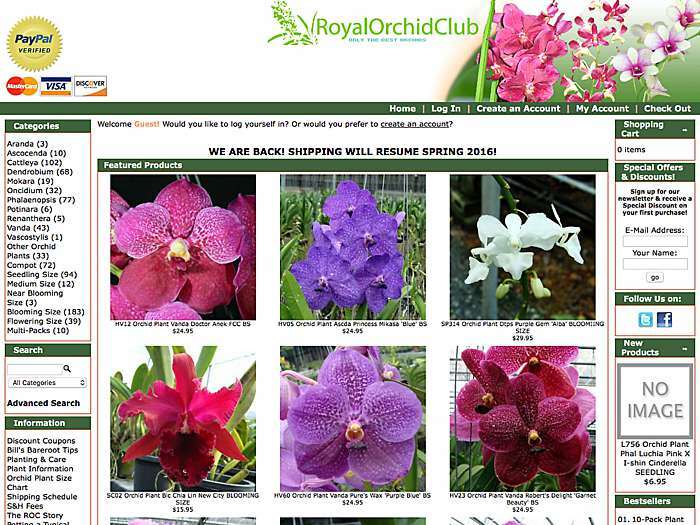 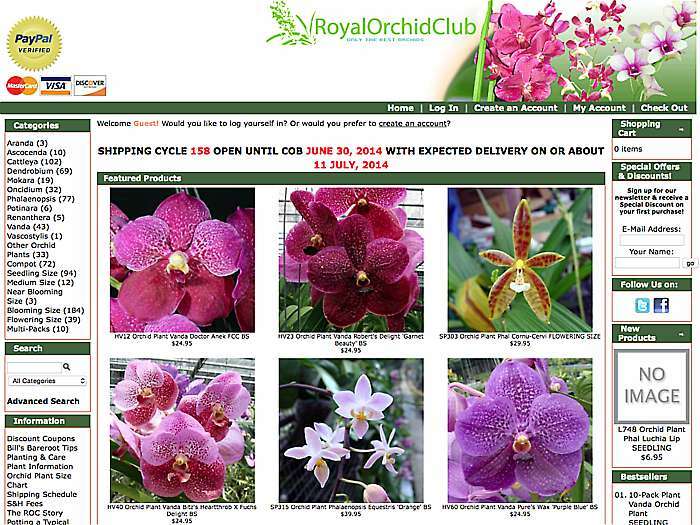 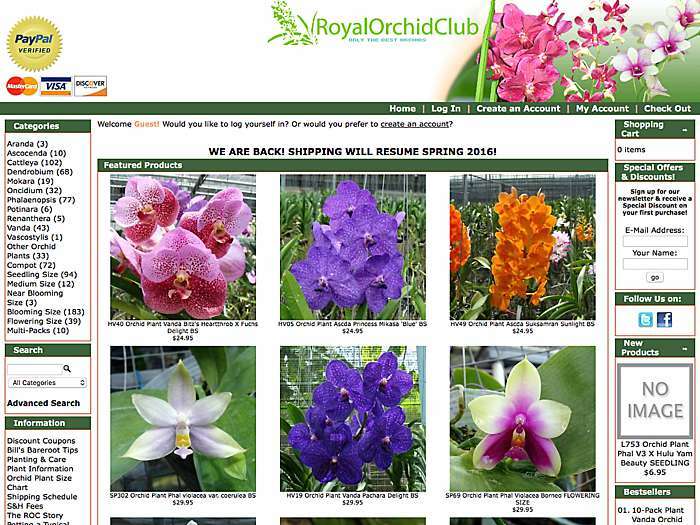 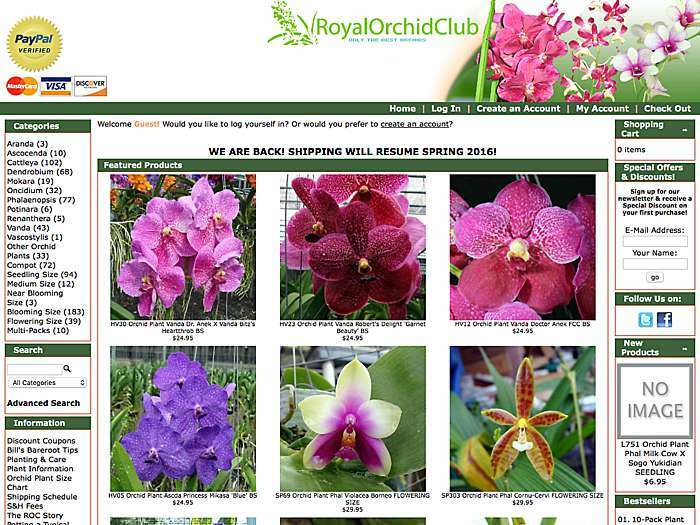 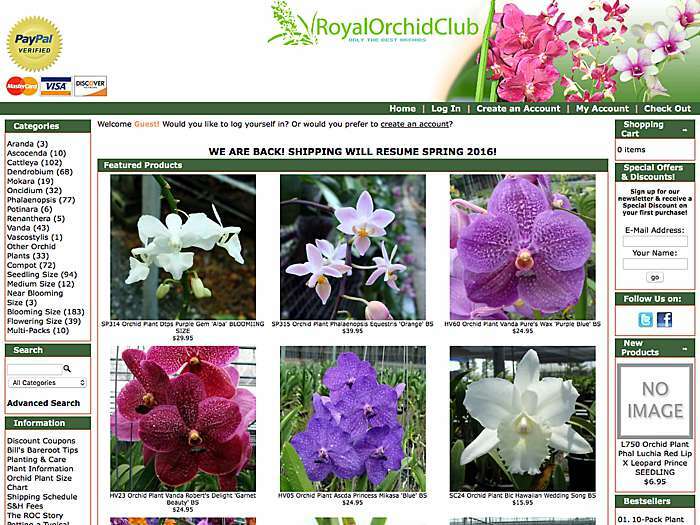 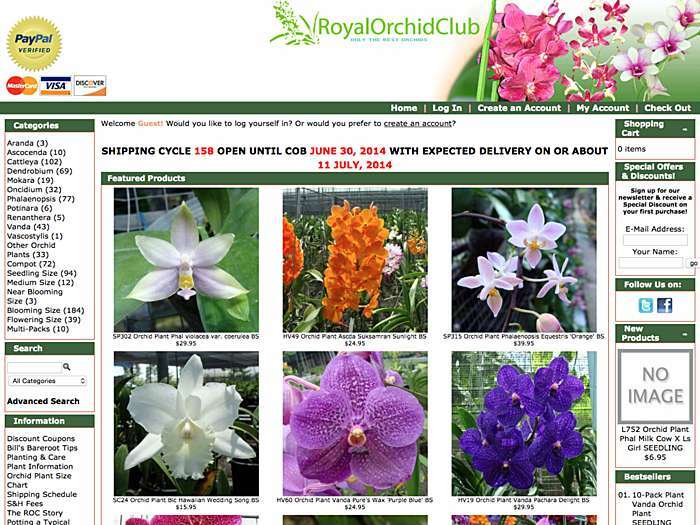 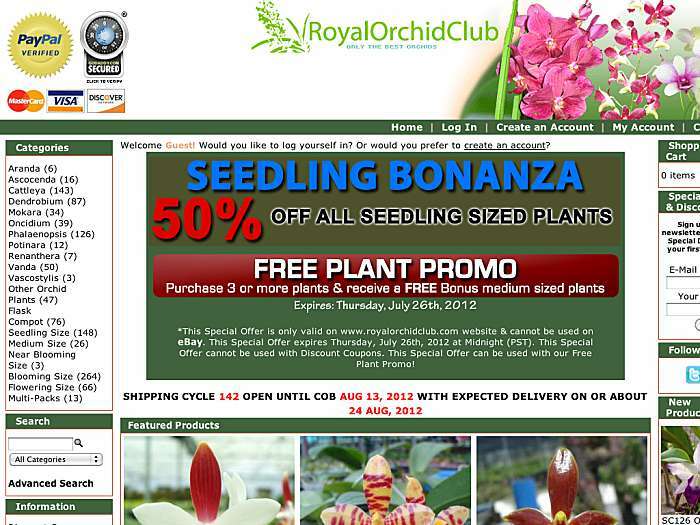 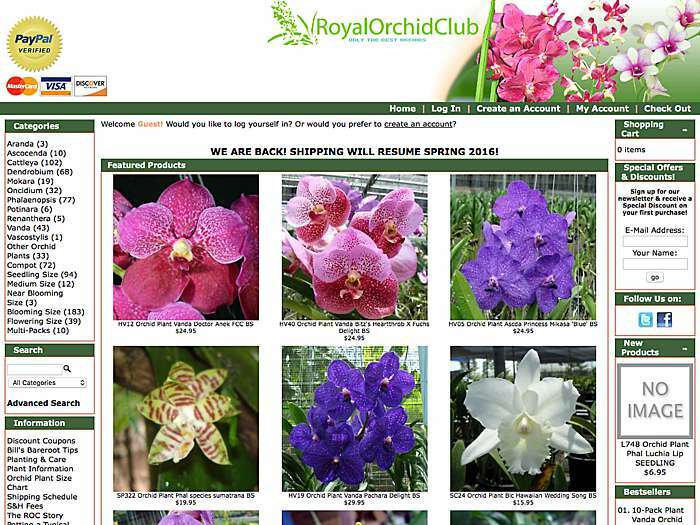 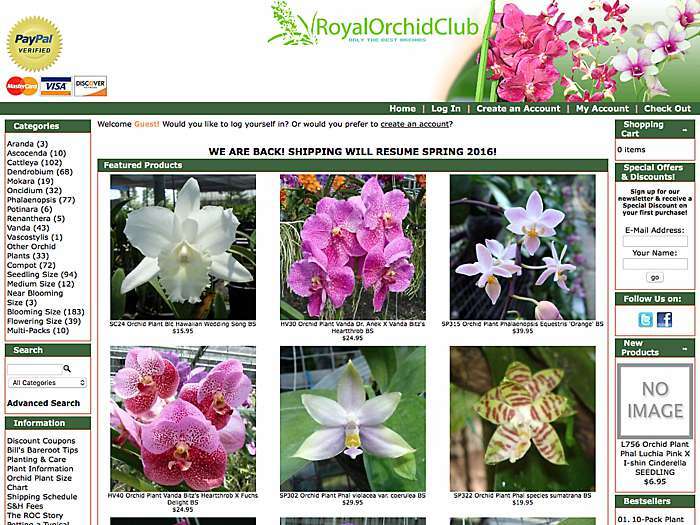 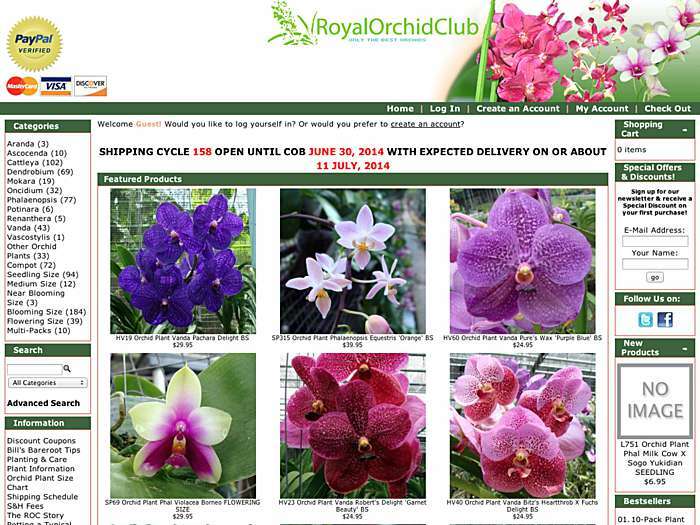 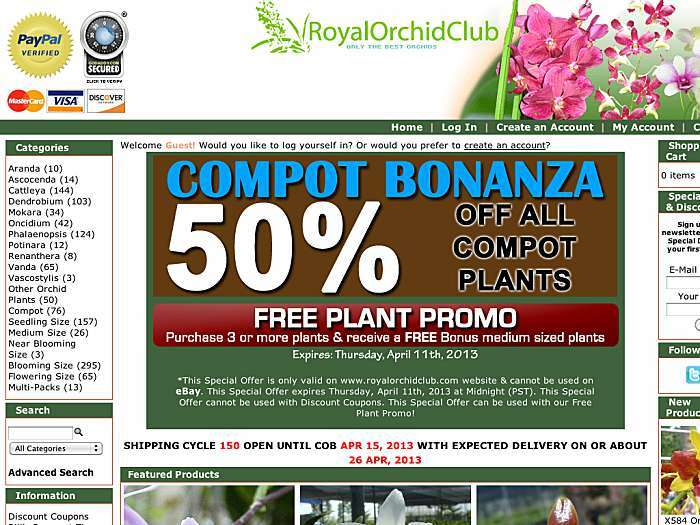 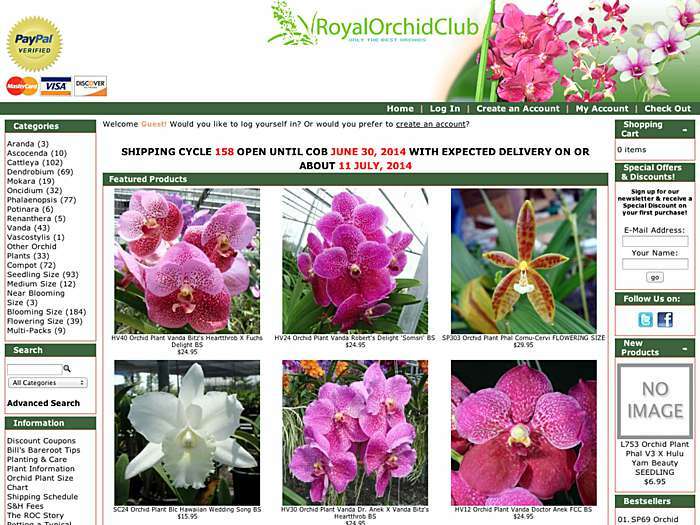 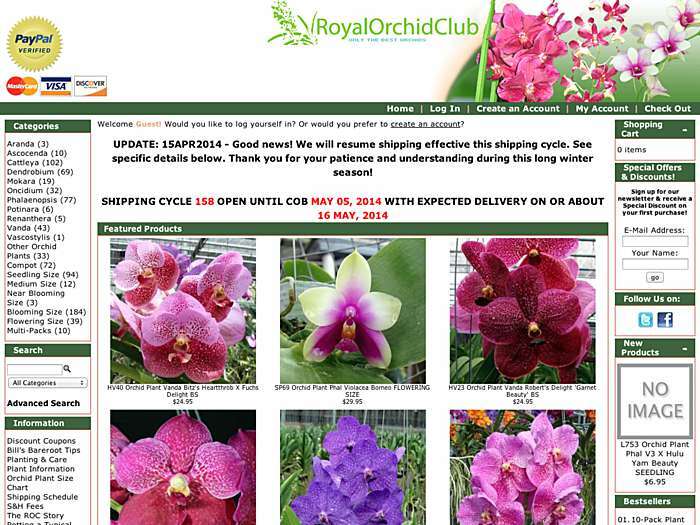 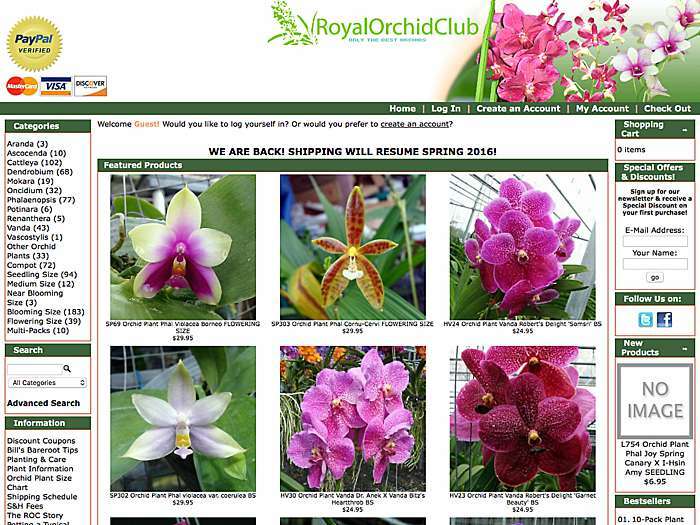 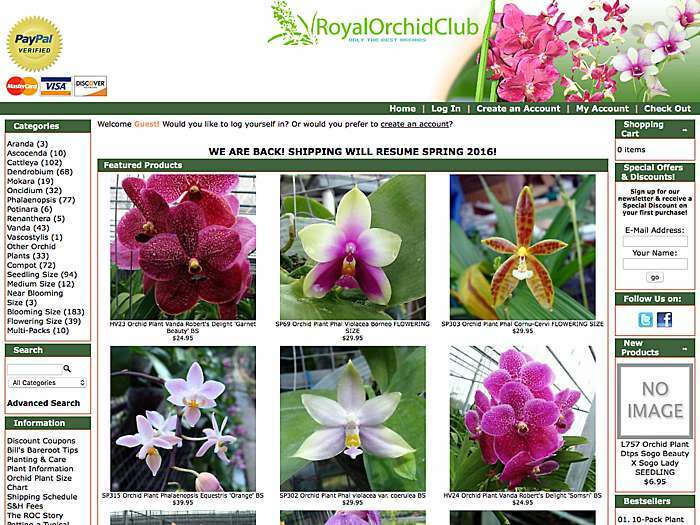 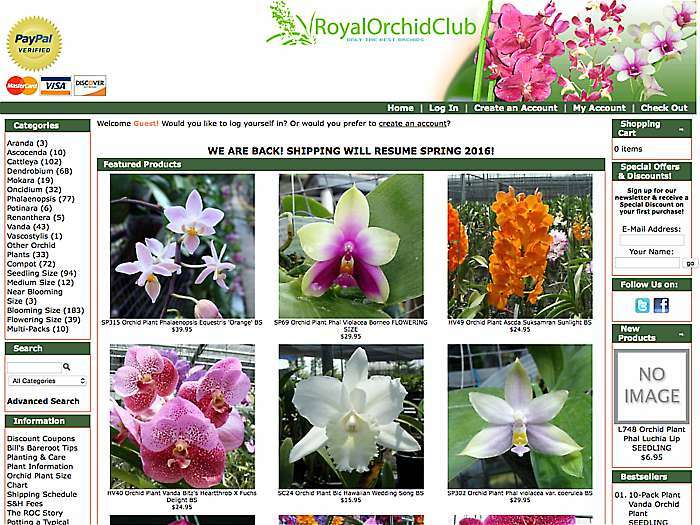 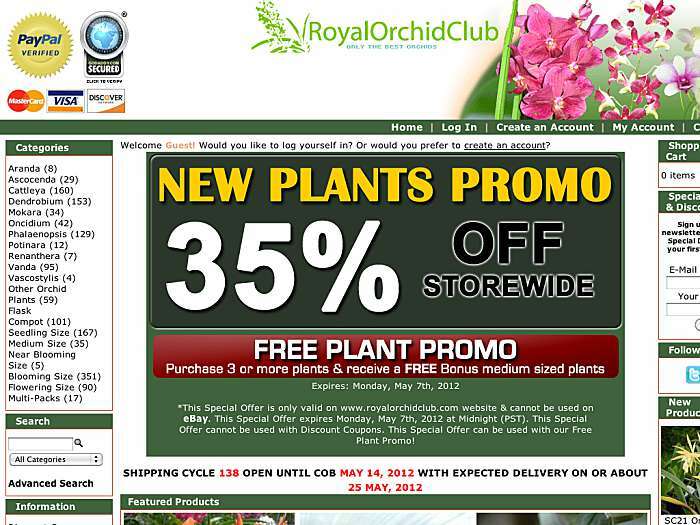 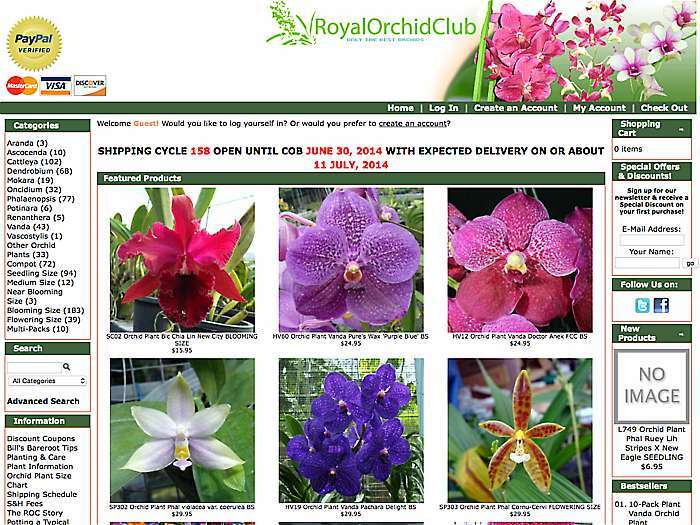 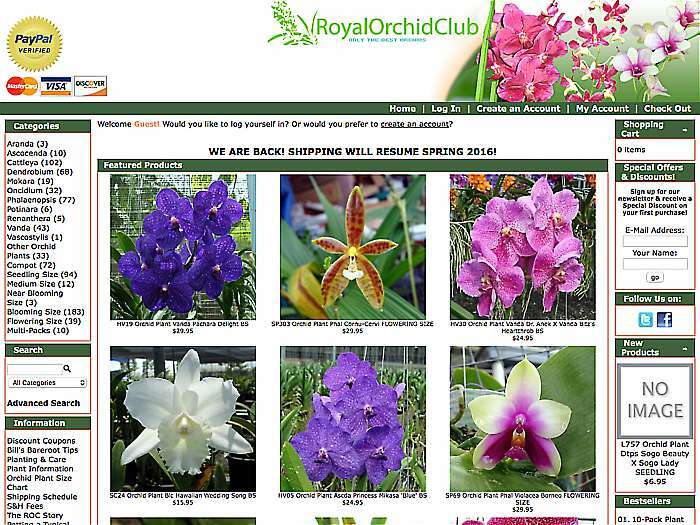 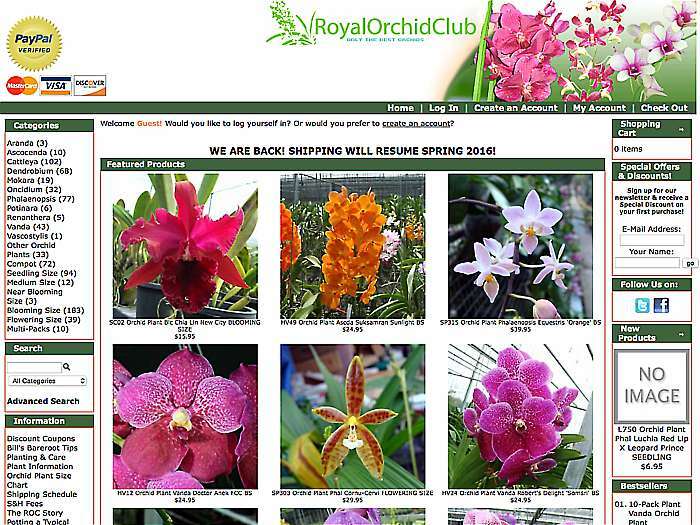 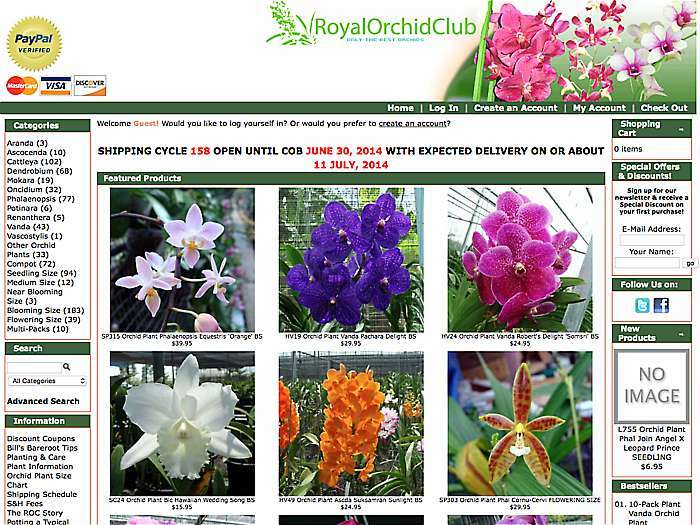 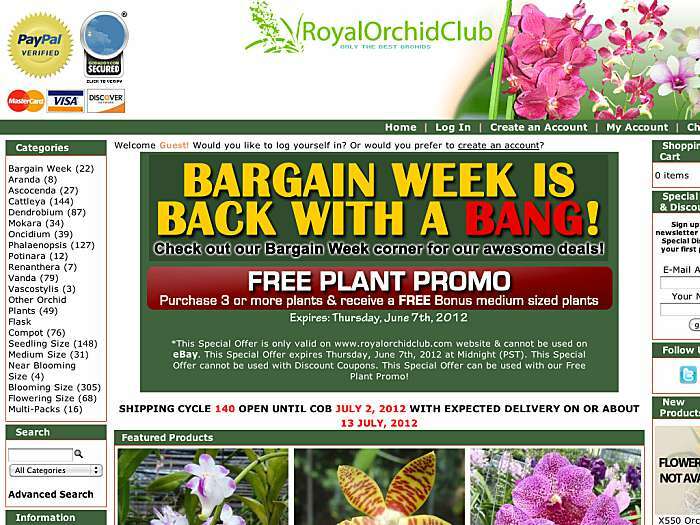 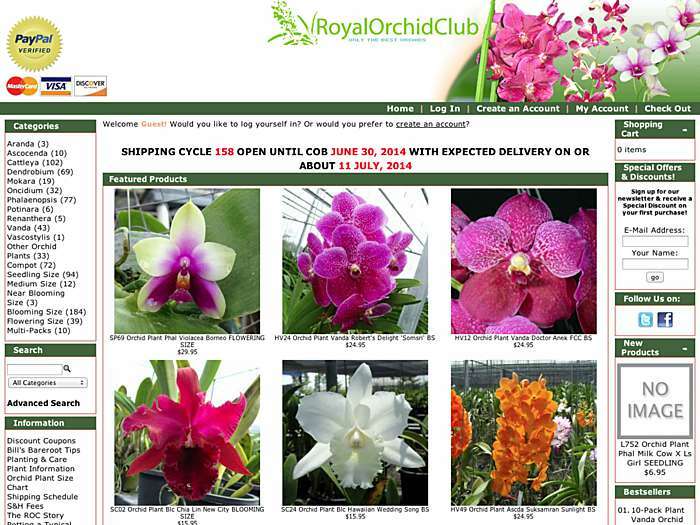 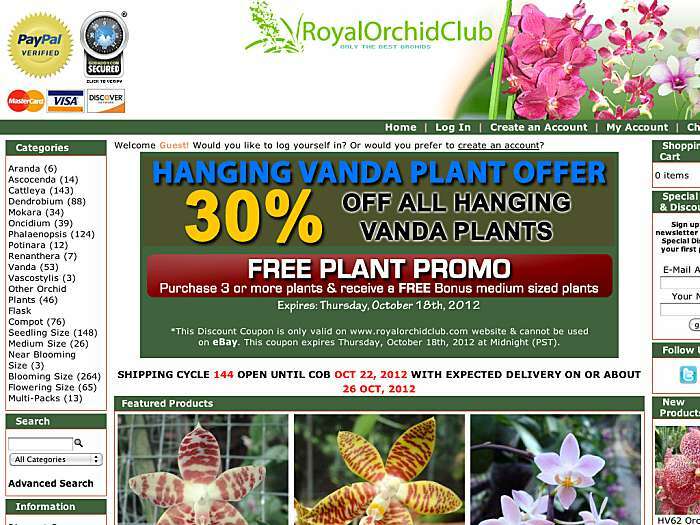 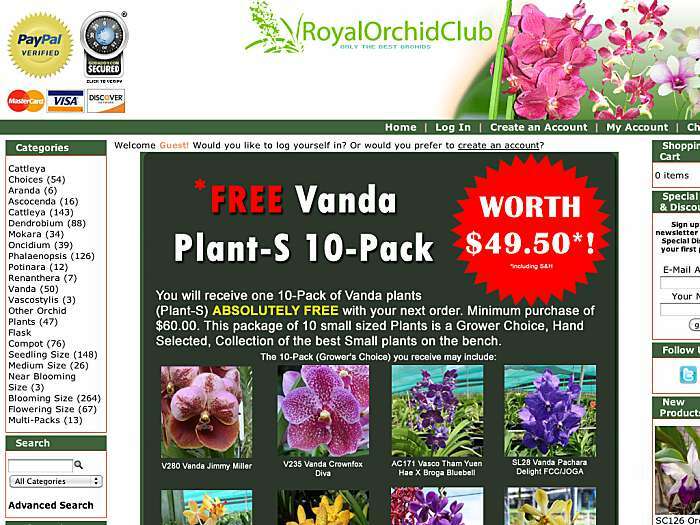 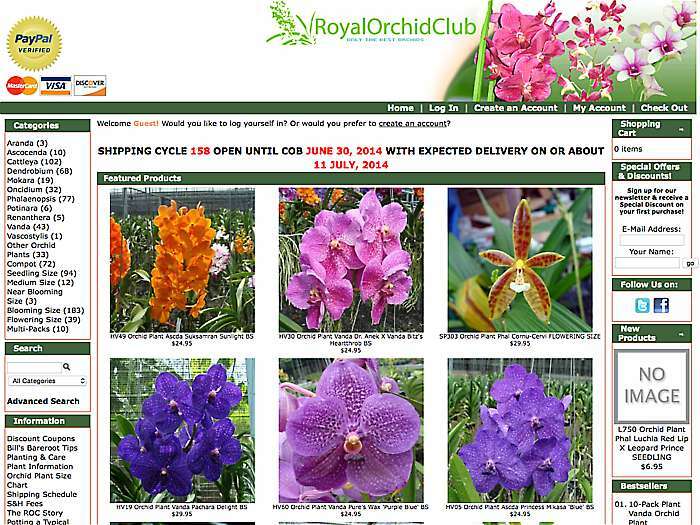 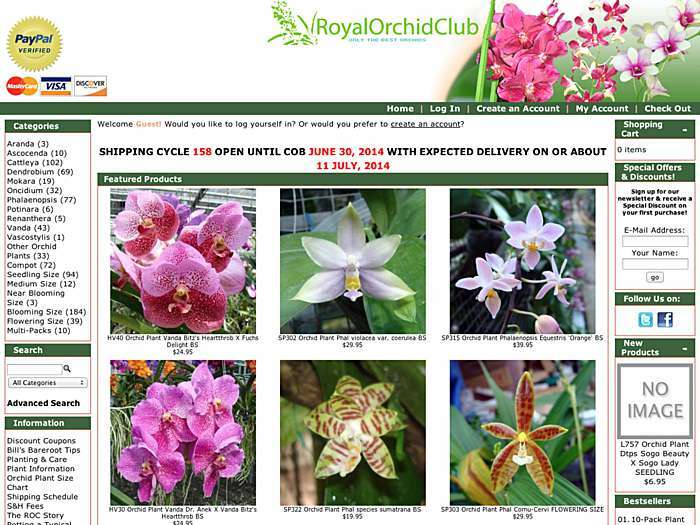 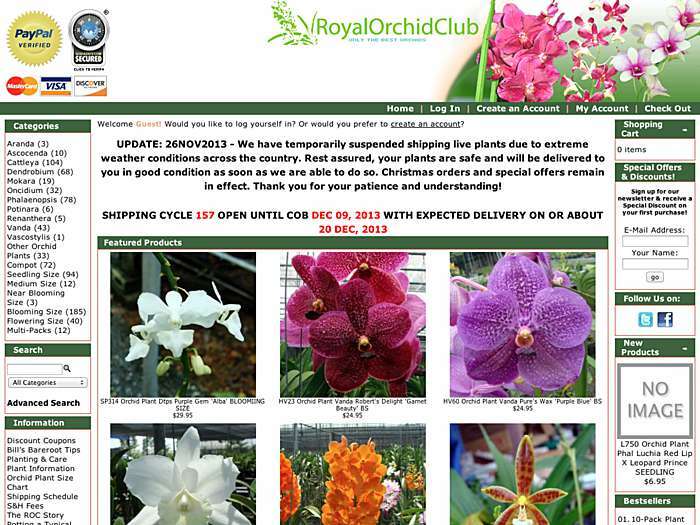 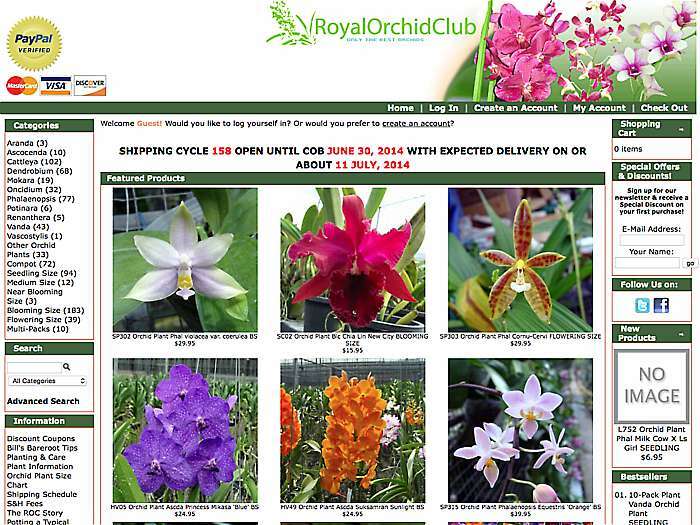 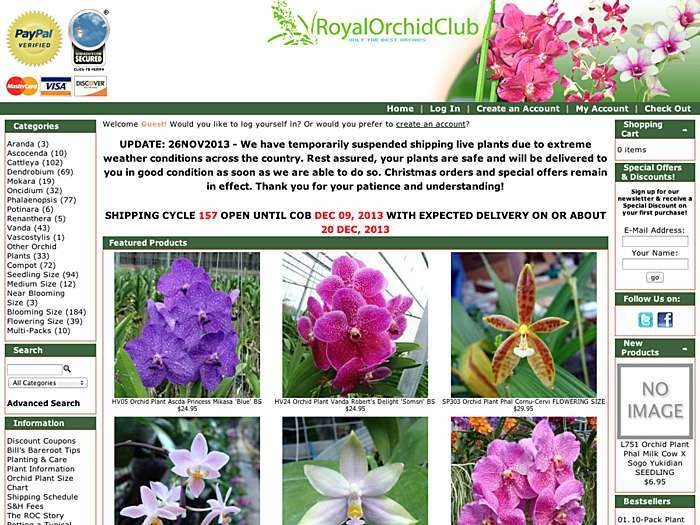 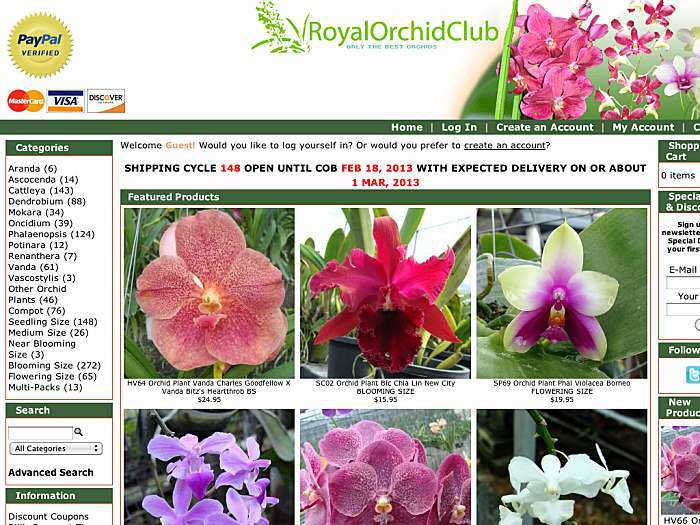 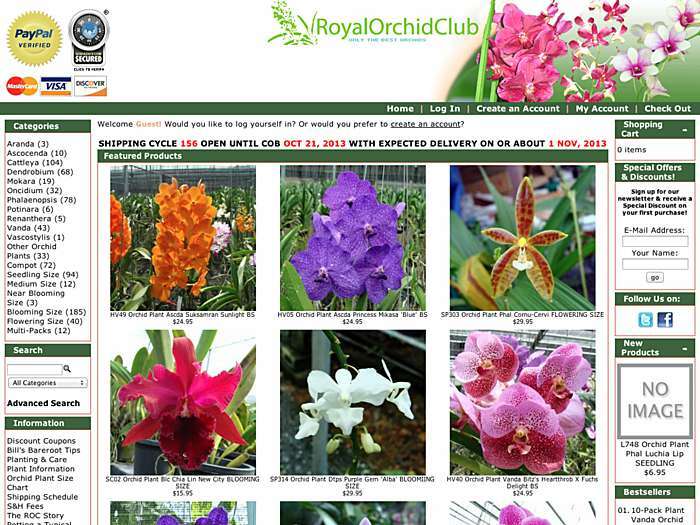 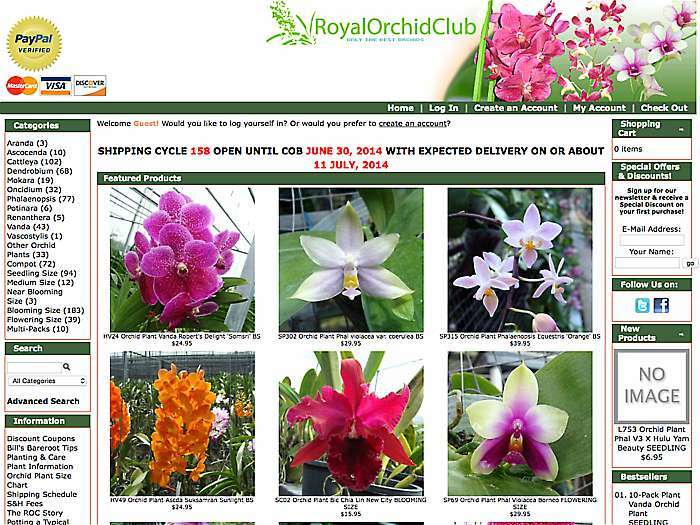 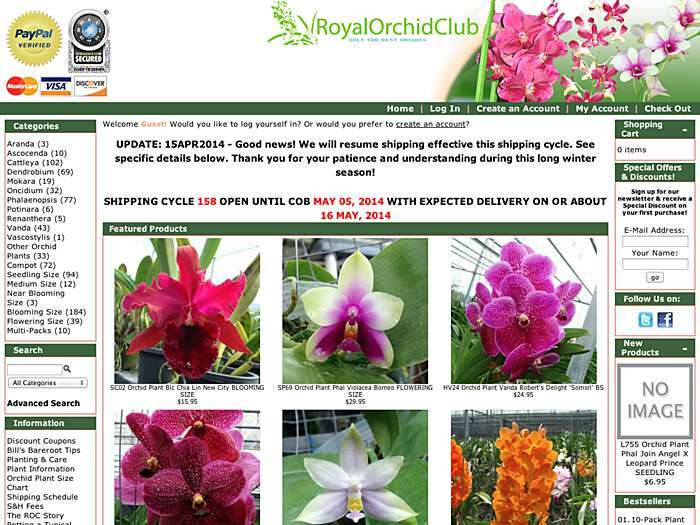 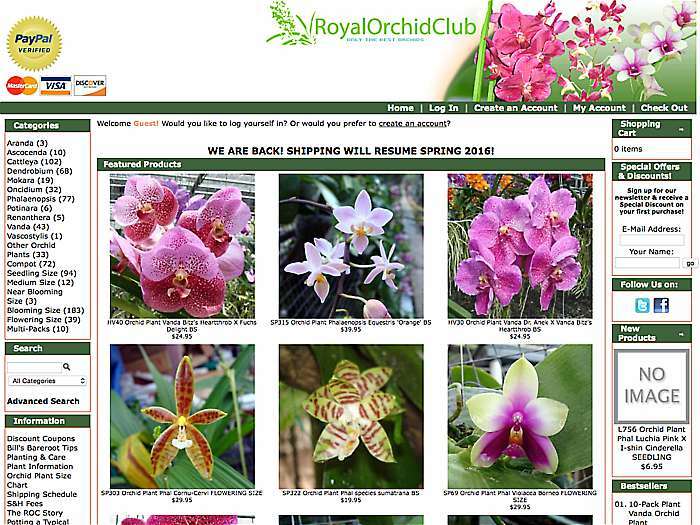 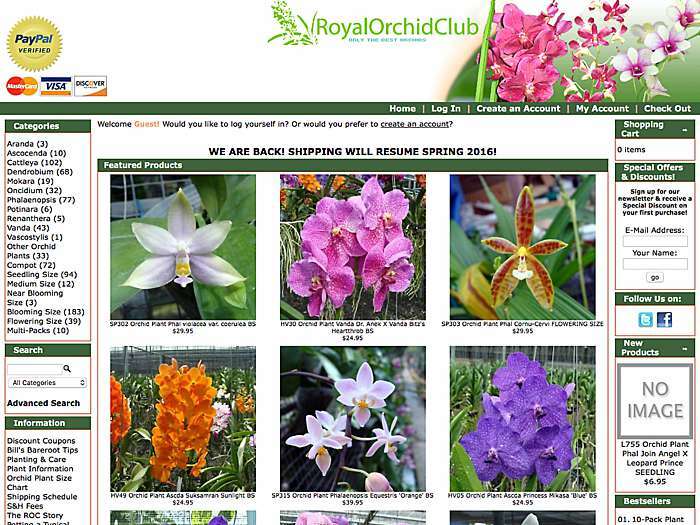 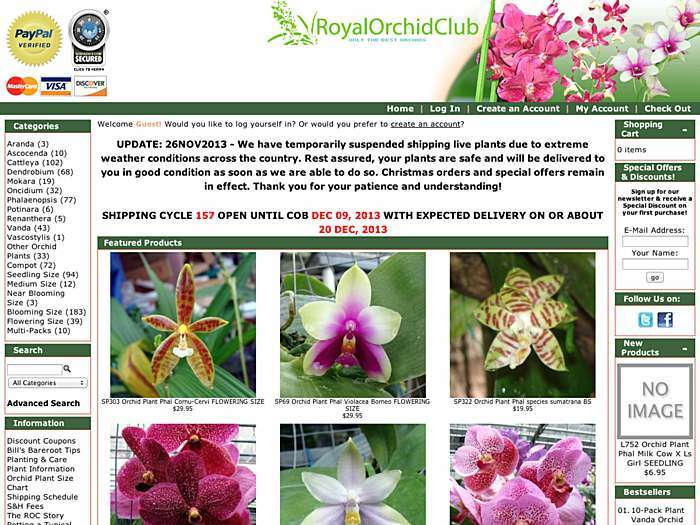 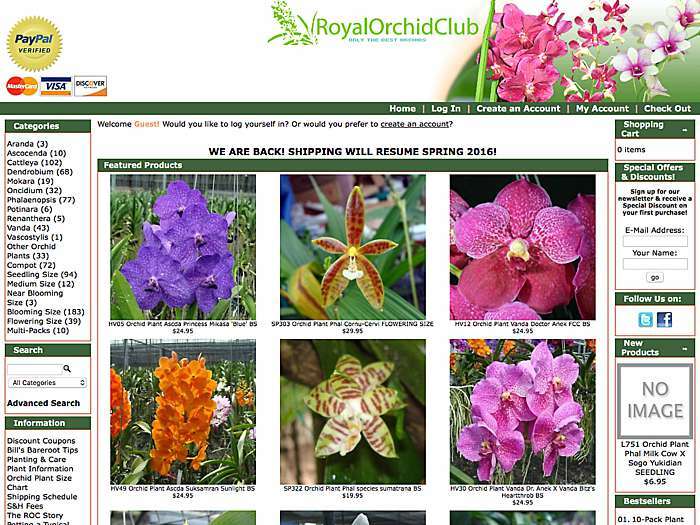 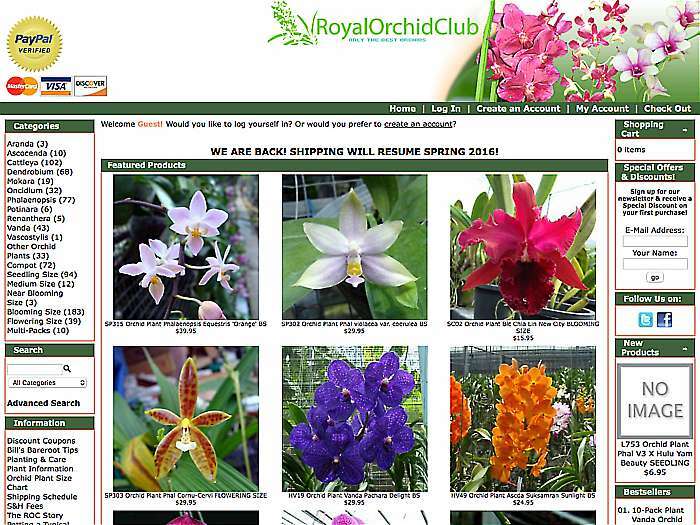 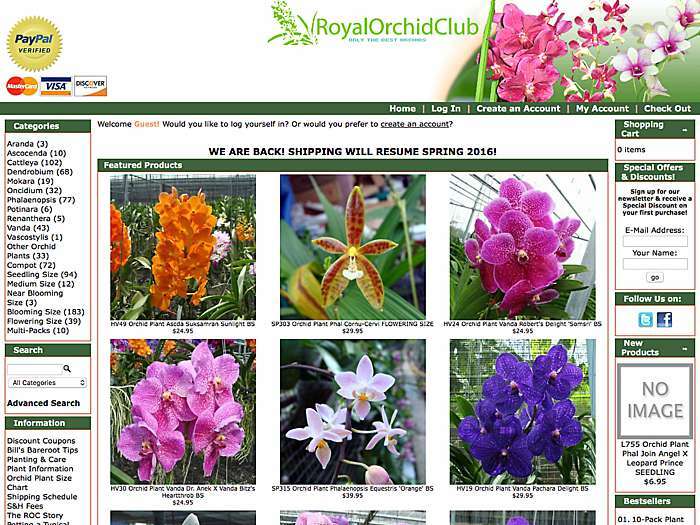 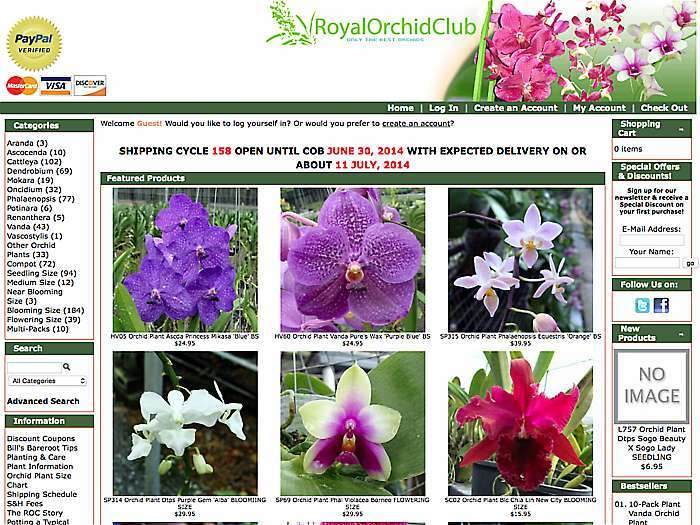 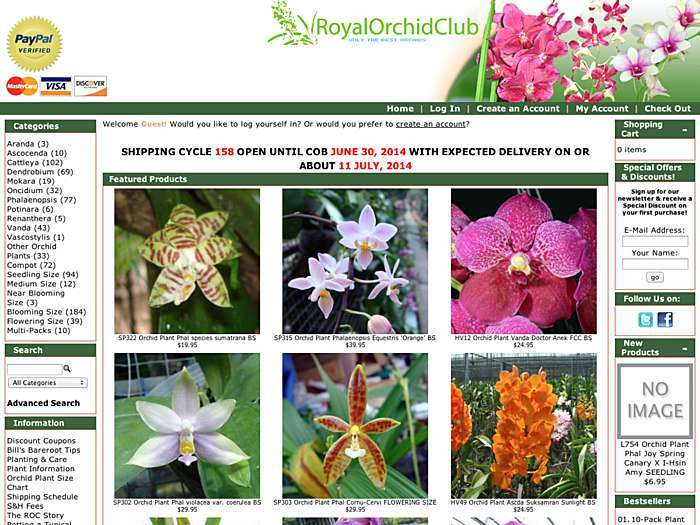 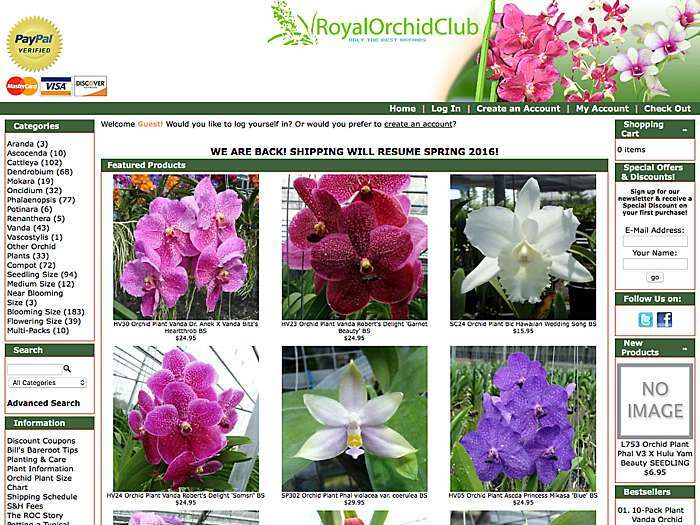 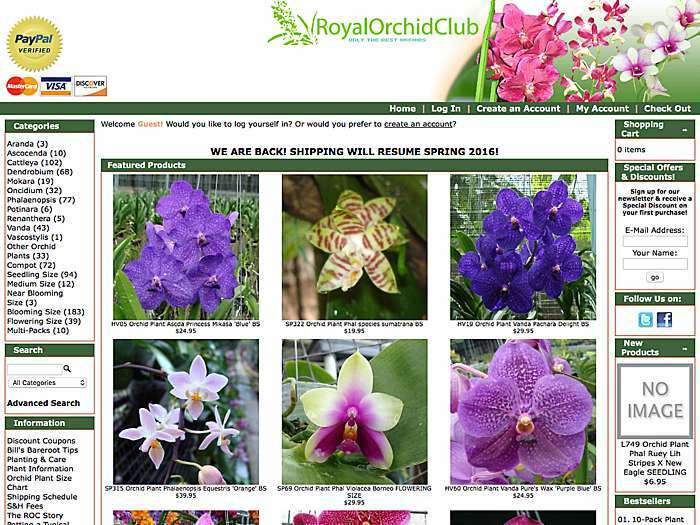 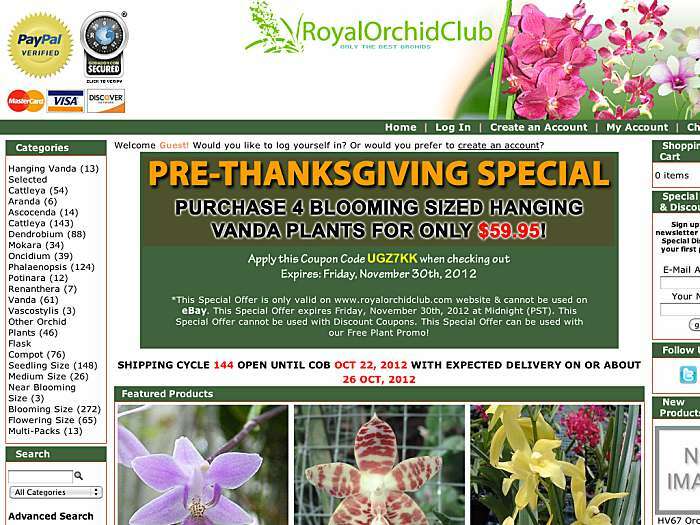 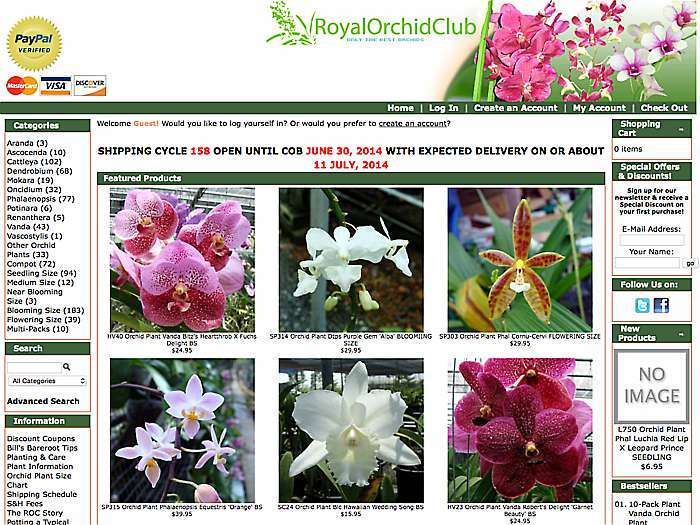 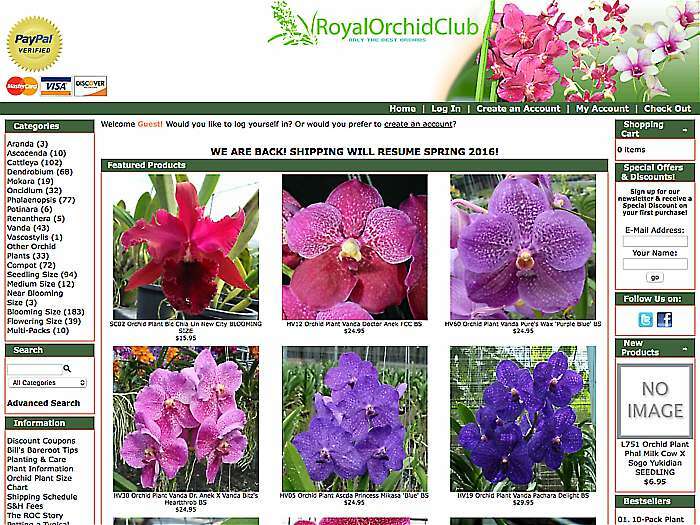 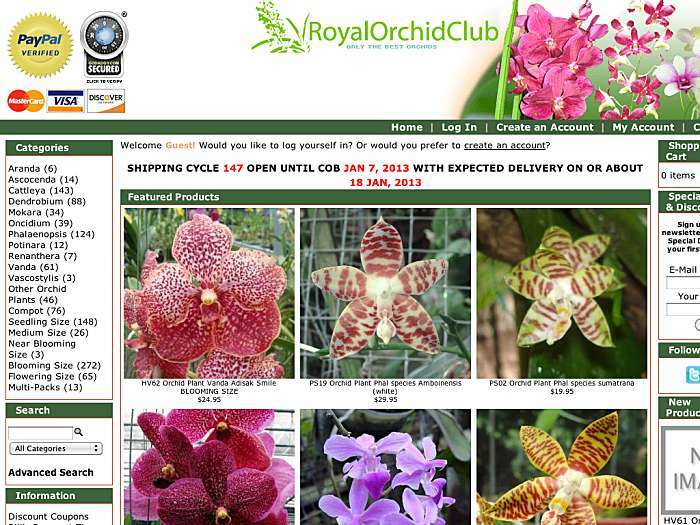 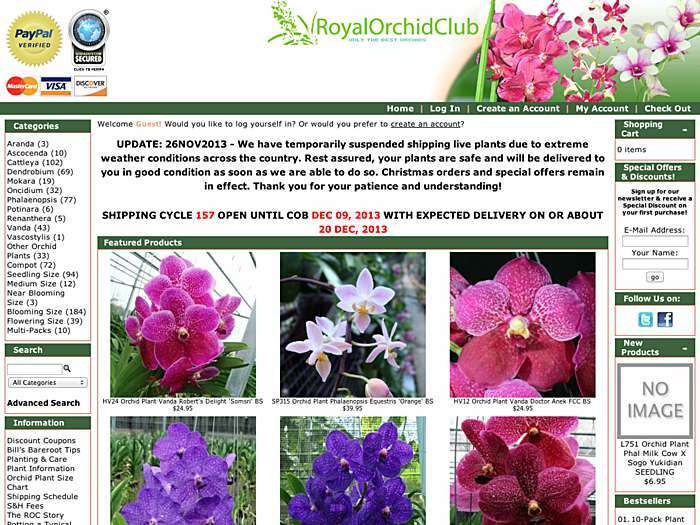 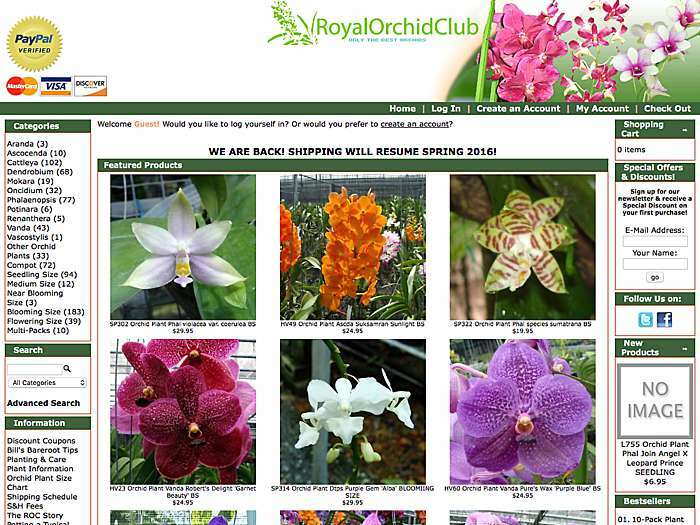 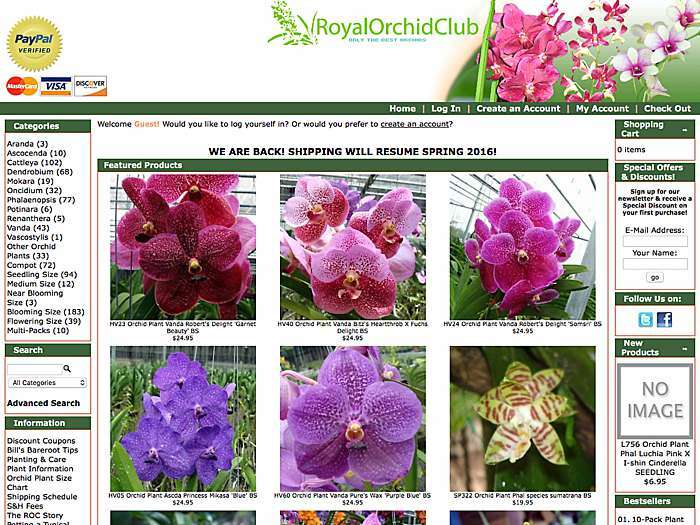 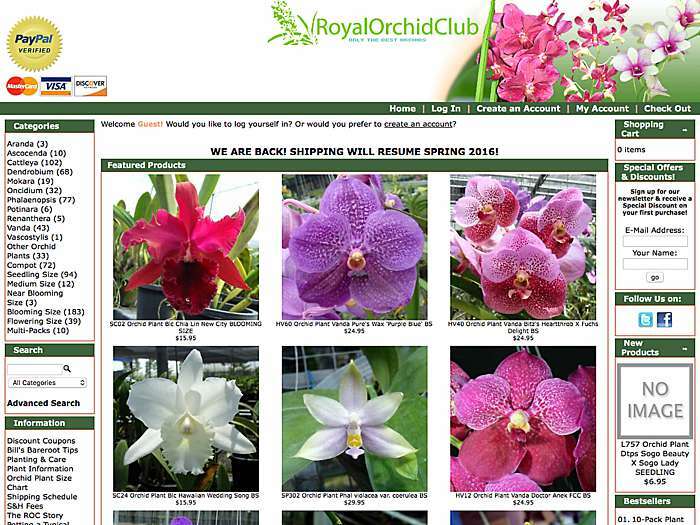 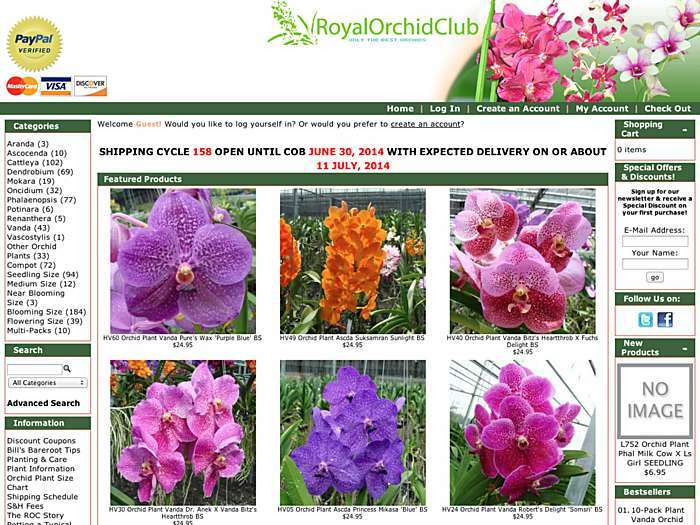 Selection of orchid genera for sale, including Vanda, Dendrobium, Phalaenopsis, Oncidium, and Cattleya. 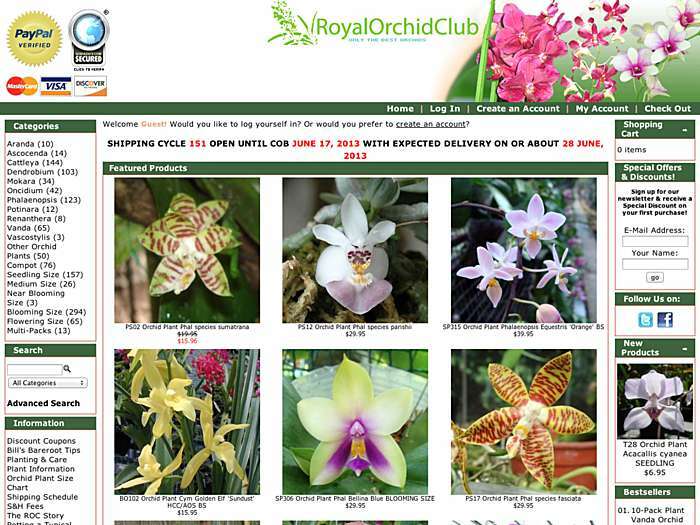 Established 2003. 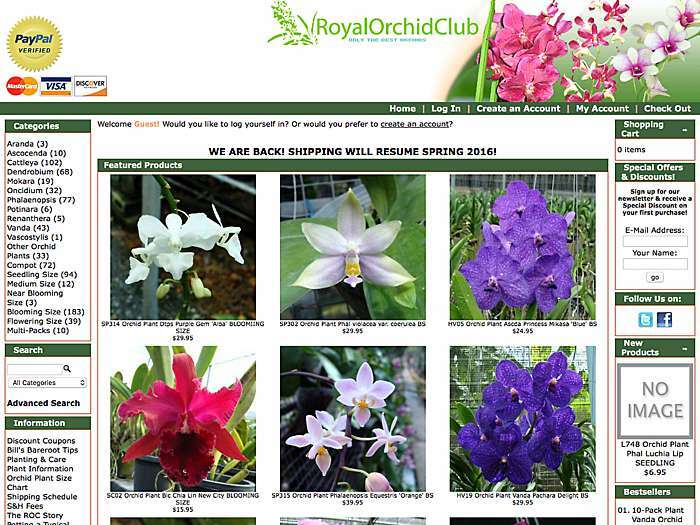 Miami, Florida, USA.